Yesterday I met Babe Ruth. Not that Babe Ruth. The Babe Ruth I spent the afternoon with was the fine team that runs Babe Ruth Baseball in Trenton, New Jersey. Pitch In For Baseball has the pleasure of working with a number of outstanding organizations. Little League International, USA Baseball, Major League Baseball’s RBI program, the Major League Baseball Players Association just to name a few. In the last year or so, we have also begun to work very closely with Babe Ruth Baseball. 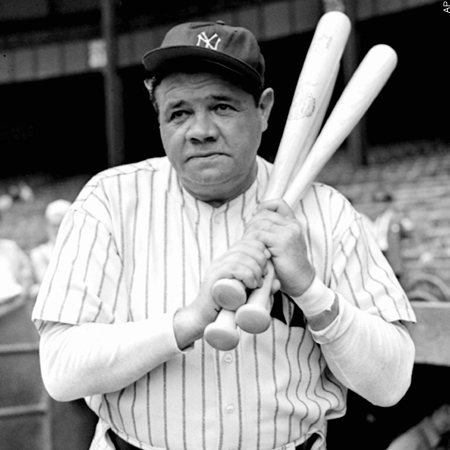 About 1 million kids play in Babe Ruth affiliated youth leagues annually in the U.S. The leader of Babe Ruth Baseball is Steven Tellefsen. Steven’s an down-to-earth guy with a big heart and a strong desire to give kids the chance to play ball. Maybe that’s why he’s taken such an interest in Pitch In For Baseball. We share the same goals and vision. When separate floods struck the communities of Ludlow, VT and Minot, ND and in 2011 Steven asked us if there was anything we could do to help. Our answer was an immediate “yes”. He then wrote a heartfelt letter to the Babe Ruth leagues around the country and asked them to contribute $ and equipment to our organization to fuel our efforts to help these decimated communities. The response was impressive to say the least. This past month, we delivered our equipment to Vermont and in a month or so the equipment for Minot will be on its way. It doesn’t take much to keep Tom Schoenfelder and I motivated at Pitch In For Baseball. The fine folks of Ludlow paid us in smiles and maple syrup. Not sure how or if Minot could ever top that. So here’s to Babe Ruth. The young people playing youth baseball with the Babe Ruth patch on their uniforms and the fine team at Babe Ruth Baseball in Trenton are making sure that name will live on forever.